Conor Benn says he’s all for a welterweight prospect meeting with Josh Kelly. 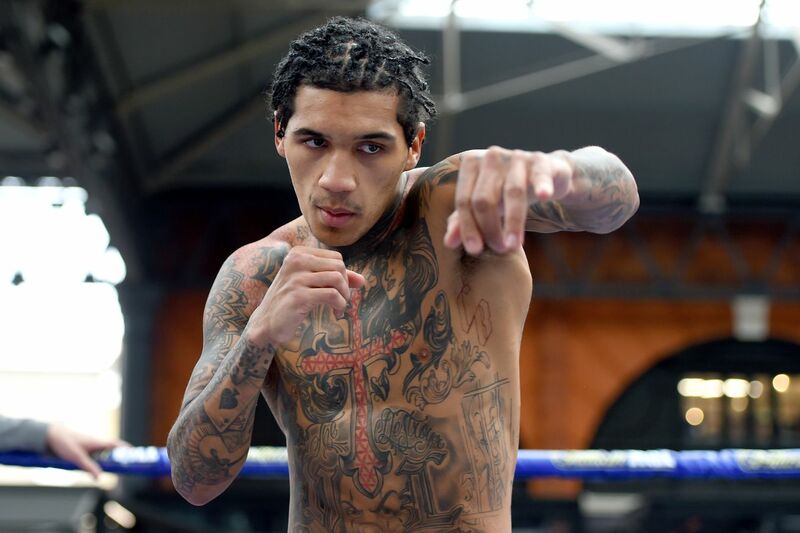 Second-generation fighter and unbeaten welterweight prospect Conor Benn says he’s open to a showdown with Josh Kelly. The two both return to action this Saturday in London, streaming live on DAZN. Benn (13-0, 9 KO) is not, to be quite frank, considered a prospect on the level of Kelly at the moment, despite the fact that the 22-year-old Benn is the son of former two-division titleholder Nigel Benn. We’ve seen Conor have some real trouble in the ring already, when he was dropped twice in a six-round decision win over Cedrick Peynaud in Dec. 2017. Benn did rematch Peynaud, to his credit, and won a more comfortable decision over 10 rounds last July. This will be Benn’s first fight back after that outing, as he wanted to put work in in the gym and get better before taking another bout. There’s a lot about what the young Benn says and does that seems entirely admirable. But Kelly (8-0, 6 KO) is considered a potential blue chip sort of guy. The 25-year-old represented Great Britain at the 2016 Olympics, and has looked very good thus far as a professional. On Saturday, he faces Przemyslaw Runowski (17-0, 3 KO) of Poland in a 10-round bout, while Benn is still slated to take on TBA. They’re simply at different levels of development as fighters, and to me, it’s a little silly of anyone to ask him to face Josh Kelly right now, sort of like wanting to see a promising high school senior to go one-on-one with Trae Young or something.